Earlier in the day, the second package of US sanctions, re-introduced after Washington's withdrawal from the Iran nuclear deal and targeting, in particular, Iran's oil sector, took effect. Oil-producing countries are finding a variety of ways to cope with plummeting oil prices, including cuts to social spending and a "sin tax" on cigarettes. OPEC is supposed to take a final decision about freezing oil output at a November 30 meeting in Vienna, but Saudi Arabia appears to be having second thoughts. 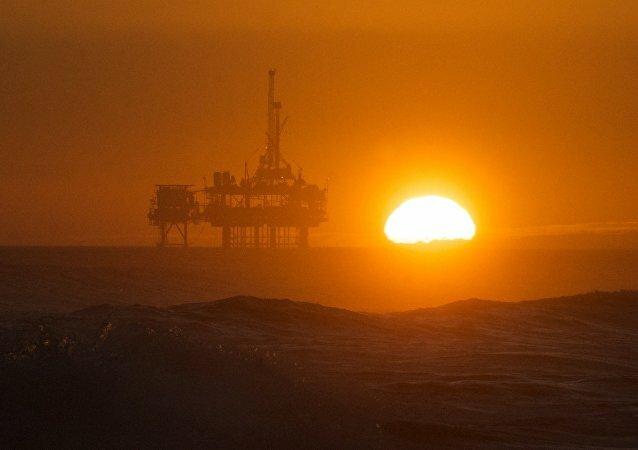 Next year the oil price will head back towards $100 per barrel as the market gets used to shale oil, Michael Poulsen, oil analyst at Global Risk Management Ltd, told Radio Sputnik. 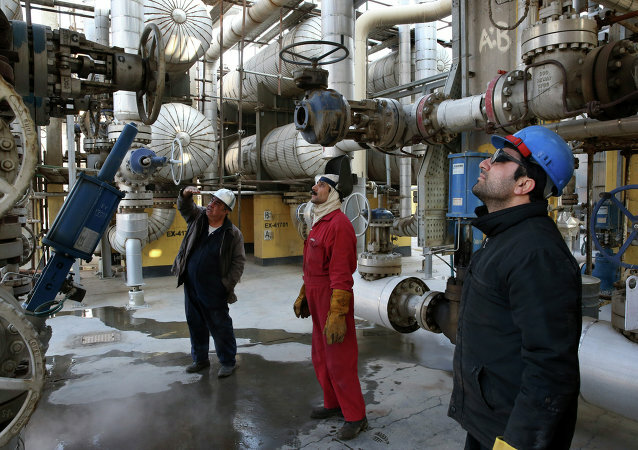 Iran does not see any benefit to freezing oil production while other OPEC members are producing at a high level, Mohammad Sadegh Joukar, an energy expert at the Iranian Energy Ministry, told Sputnik Persian. Last week Exxonmobil reported its lowest quarterly profits since 1999; the company's profits from April-June this year declined by 59 percent compared to the same period last year. The European Union is exploiting the Saudi-Iranian rivalry to its own advantage, political analyst Salman Rafi Sheikh notes, stressing that the supposedly 'historic' EU resolution which calls to impose arms embargo on Riyadh has added fuel to the fire. Saudi Arabia has presented a plan that seeks to reassure investors its economy can cope with the challenges of cheap oil, which left the kingdom with a budget deficit in 2015 that was 15 percent of GDP. 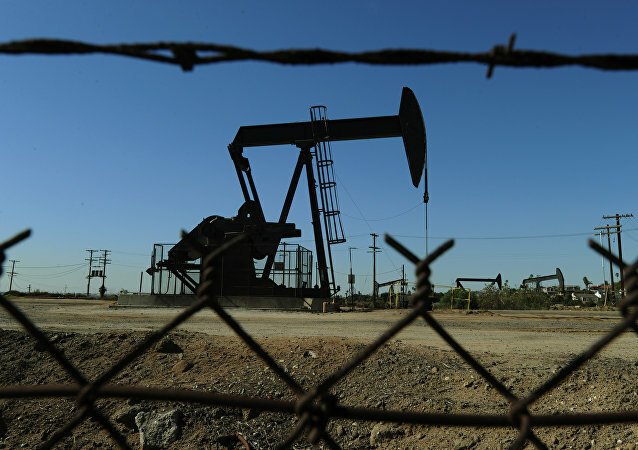 Cheap oil is just something that the world will have to get used to, Augustin Eden, a research analyst at online trading provider Accendo Markets, told Sputnik. 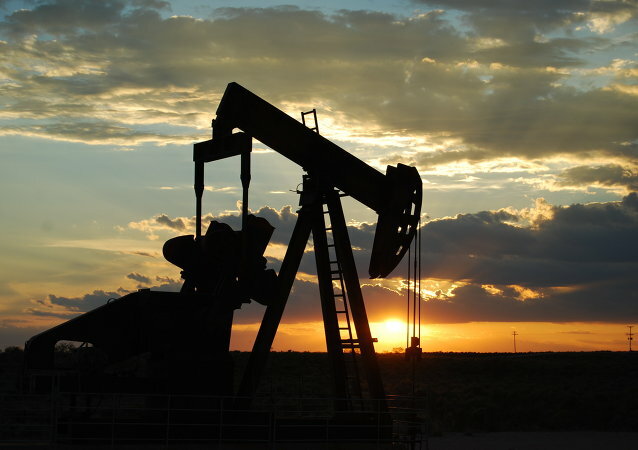 World oil prices continue to tumble as West Texas Intermediate (WTI) crude fell to below $35 per barrel, the lowest price since February 2009, on Monday, trading data showed. According to the OPEC data, Russian oil supply is expected to increase by twenty thousand barrels per day. Oil prices continued their slide Monday with lackluster manufacturing data from China and near-record supplies from OPEC producers fueling worries about oversupply. 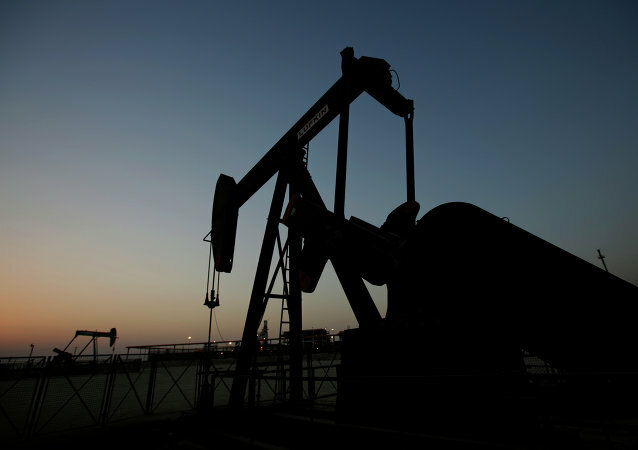 Oil edged back Thursday from a six percent fall as strong German economic data and continued uncertainty about an agreement on Iran's nuclear program provided lift a day after crude futures tumbled on reports of a shock jump in US crude inventories and record Saudi output. 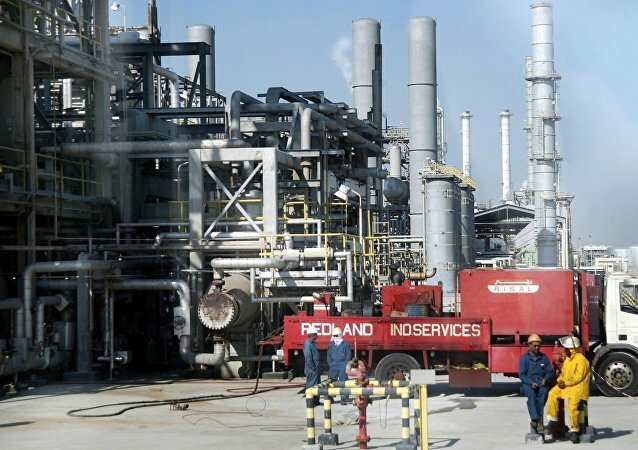 Oil prices fell more than a percent on Wednesday on news of a larger-than-expected weekly build in US stockpiles and Saudi Arabia reporting record output in March. 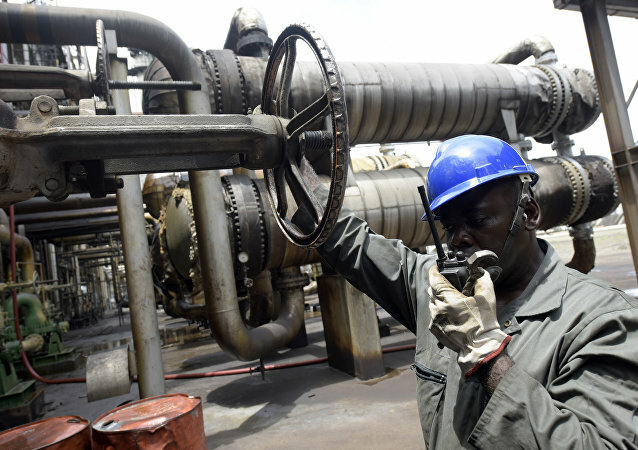 French oil giant Total reported intentions to cut jobs and sell assets due to the deep slump in oil prices. China's slowing economy faced a nearly 20 percent drop in exports in January, with exports down 3.2 percent, resulting in a record trade surplus for the Middle Kingdom. South African energy and chemical company Sasol Limited announced its decision to suspend the final investment decision on the first gas-to-liquids plant in the United States. Russia will try to conduct a careful budget policy and have a non-deficit budget by 2017. However, this will be possible only with oil prices not not dropping lower than $70 per barrel, Russian Finance Minister Anton Siluanov said. US Vice President Joe Biden stated at the Caribbean Energy Security Summit that global oil prices are likely to remain relatively low for the next several years. Press Secretary of Alaska’s Governor says that with oil prices running low, Alaska is facing a fiscal challenge, and it will have to change existing business practices to survive in new conditions.